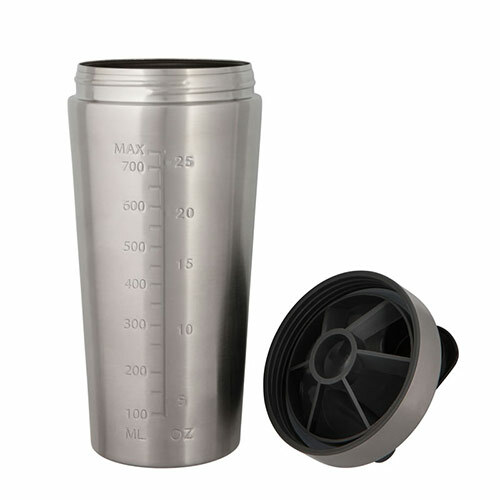 These versatile drinks shakers are made in stainless steel with a black plastic screw-on lid with spout and cap. They are suitable both for mixing cocktails and for health drinks; or indeed for any drink that requires ingredients to be measured. Capacity is 725ml (25 fl oz). They can be branded via engraving into the stainless steel body. 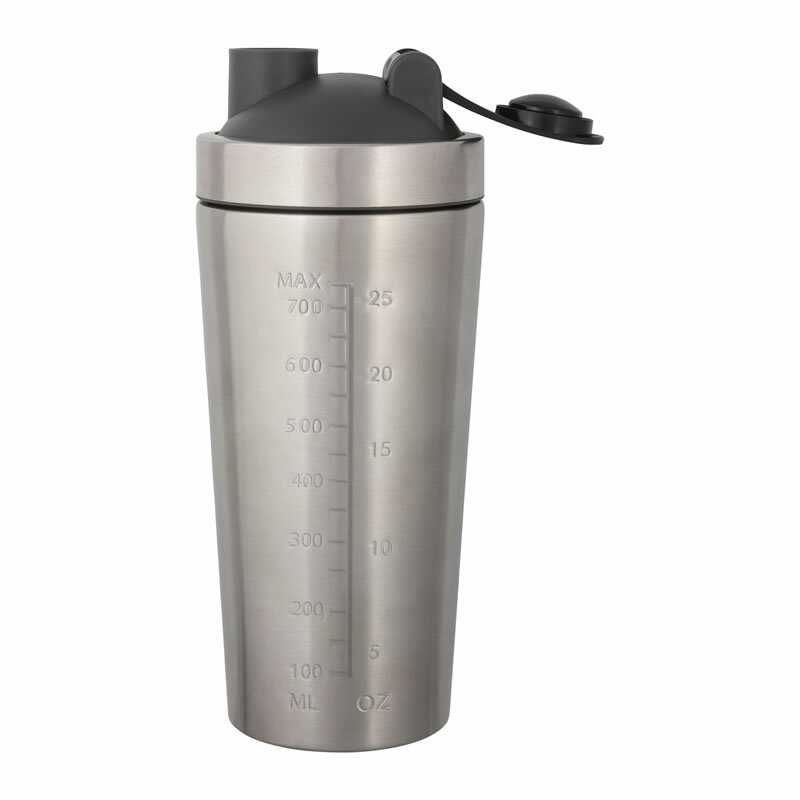 Each shaker is supplied gift boxed.